All, especially individuals concerned with ageing skin. Raise TPP levels and controls the formation of A.G.E.’s. Possesses a peptide that inhibits MMP (matrix metalloproteinase) activity, enzymes that destroy collagen and elastin. Very powerful fat-soluble antioxidant that protects cellular membranes from free radicals. Activates survivin, sirtuin-1, connexin26, Nidogen, pleotrophin, and protects langerhans cells to promote cellular longevity, cell communication, and cell defense. Contains high levels of tocotrienol, shown to inhibit NF-kB. Detoxifies skin from glycating agents and oxidants, protects biomolecules from the effects of glycation and glycation induced inflammation, prevents cell loss from A.G.E.’s and increased sugar levels. Evens out skin relief and smooths wrinkles by stimulating constituents of the skin matrix and dermal-epidermal junction (i.e. collagen I, II, IV, fibronectin, hyaluronic acid, and laminin 5). 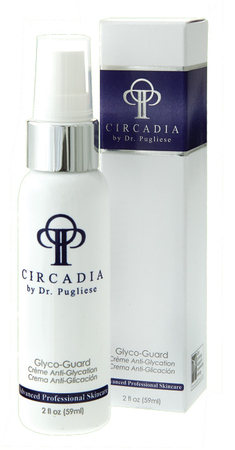 Reduces oxidative stress, strengthens UV protection and prevents further free radical formation. DNA protective, supports wound healing and re-epithelialization. Contains antioxidants, chlorogenic acid and derivatives, phenylethanoids, flavanoids, tannins and iridoids. Apply after cleansing, morning and night.